Small-scale beekeeping has bloomed in recent years as amateur apiarists have taken to cultivating honey bee colonies of their own to help boost the ranks of pollinators under pressure around the globe. But more is sometimes not better, and experts like Paul van Westendorp, a provincial apiculturist with B.C.’s Animal Health Centre, are warning that backyard honey bees that aren’t carefully managed can contribute to the spread of disease, undermining the well-intentioned efforts of those who keep them. “Ironically, while beekeepers can be a highly independent lot and very individualistic … honey bees are completely communal in everything they do. 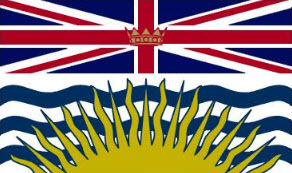 So the misery that is experienced by one colony is often shared with other colonies, and the misery is often in the form of disease,” van Westendorp said. B.C.’s honey bee colony count, at roughly 52,000 in 2018, is the highest its been since at least 2010, according to the results of the province’s annual beekeeping survey, and there are more colonies across the country than ever before, said van Westendorp. Urban interest in beekeeping and corresponding local bylaw amendments have helped foster the spread of honey bee colonies into cities and towns. But what some who keep bees may not be aware is that honey bees were introduced to this continent and are best thought of as a form of livestock, distinct from the hundreds of species of domestic pollinators in Canada, like bumblebees and orchard mason bees, van Westendorp said. He warned people against keeping bees without first learning some basics on seasonal management, or what to do in spring, summer, fall and winter. Also key is recognizing bee behaviour and the health of the brood, and understanding how bees reproduce, he said. Stan Reist, the Canadian Honey Council rep for the B.C. Honey Producers’ Association, said he believed some people may be avoiding crucial procedures that can help colonies around the province stay healthy. The provincial government offers introductory beekeeping classes that regularly enroll to capacity. 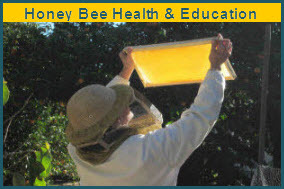 It also offers a free webinar version open to anyone, and a master course for beekeeping veterans. There are other beekeeping courses offered around the Lower Mainland as well, including those at the Honeybee Centre, which are geared toward hobbyists, and a program at Kwantlen Polytechnic University, aimed at commercial keepers. Carolyn Essaunce teaches at both. 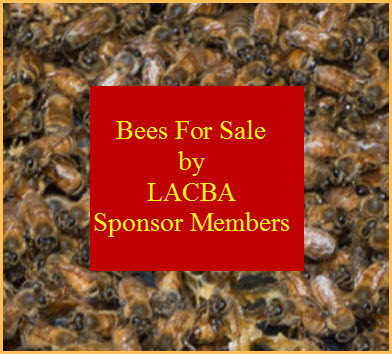 Essaunce said sometimes there is “contention between commercial beekeepers and hobby beekeepers” and if a hobby beekeeper’s hives get sick they blame the commercial beekeepers, and vice versa. She thought it was important to bridge the two industries because all of them have the same goals and raise bees that fly around. “I think there’s a bit of misconception about what commercial beekeeping is. I think there’s an idea out there, not that everybody has it, in the hobby beekeeping industry that it’s sort of this mass production industrial farming. But I teach basic beekeeping for hobbyists and I also teach commercial. And we actually teach the exact same management methods,” she said. In the broader picture, the societal pressure that humans place on the environment has been problematic for bees, van Westendorp said. Industrial monoculture agriculture, the widespread use of farm chemicals and the loss of agricultural land to development are just a few examples of a large societal footprint that has contributed to a widespread “depressing effect” on the natural world, he said. Honey bees — even though colonies now appear in Canada in greater number than before — have suffered from that and native pollinators are suffering even more, he said. Anyone looking for a low maintenance way to help pollinators could consider setting out mason bee condos or planting “bee forage plants,” van Westendorp said. That includes flowers like lupines, lavender, bigroot geraniums, hyssops and a host of other plants that bees like to visit.